DETUNE is known for producing a variety of DS and 3DS cartridges that are essentially synthesizer simulation software from the famous Korg brand. 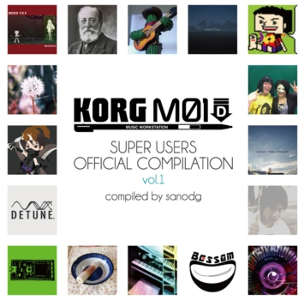 As such, DETUNE took it upon themselves to publish what they felt was a good indication of diversity of sound that their software could produce through the Korg M01D Super Users Official Compilation Vol. 1, which features work from users of their software. How does the compilation album turn out and is it worth a purchase? Sano managed to get all sorts of musicians to contribute to this release. 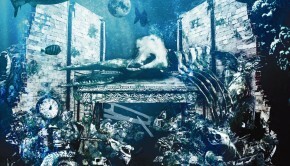 The album opens up with “DELUXE Koujou no tsuki” by an artist named Naon. 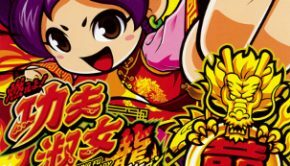 It is a very energetic electronic tune with an extremely catchy melody and some beautiful layering of sound. It really works as a nice dance tune and definitely sets off the album off to a great start. There are also a few other electronic tunes worth mentioning. “VS jinzouningen” by Korowe and “Upsilon” by soda are blends of orchestral and electronic tones that help create pretty good atmospheres in their tracks, respectively. 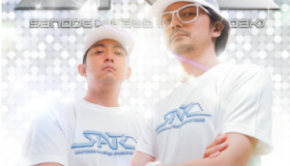 “Rebirth,” by X-TraX, has a very anthemic trance sound akin to what one might hear in the Wangan Midnight Maximum Tune series and is one of the highlights on the album. nona.emanon.4’s “violaceus O.D:carabus” features a very gritty and edgy electronic tune that is definitely reminiscent of some of Shinji Hosoe’s darker electronic tunes and is quite a nice listen. “shade,” by MousouMan, is an ambient electronic tune with a bit of a lounge vibe. Overall, it’s a nice listen, but it isn’t one of the stronger pieces on the album. Lastly, “umbra,” by ttkk, is a nice electronic lounge piece that features a nice atmosphere, although at times, it does tend to drag on. Of course, there are a variety of other genres represented on the album, although the quality varies between artists. “Kumikyoku “Doubutsu no shanikusai” yori shukyoku,” by Tamago, has a very classical feel to it, but I find it to be a bit lackluster on the whole. “Paris 1920’s” by Kota Suzuki features a jazz approach, but it also doesn’t manage to leave a lasting impression. “20010825,” by Dr. midie, has a really nice groove to it with its funky style and definitely harkens back to the days of the SEGA Genesis, as it has a Streets of Rage quality to its rhythm, although with a bit more focus on atmosphere. Speaking of game sounding pieces, “Rise,” by Mitsukisei, has a sound that might be featured in a shoot ‘em up, although there are moments during the piece where it also sounds like it could serve well in an RPG as it has a very inspirational sound to it. It’s another highlight on the album for sure. 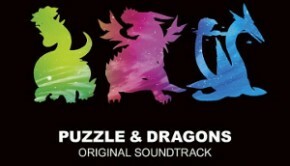 The chiptune genre is also represented on the album. “AnalogOut sound (p18),” by galacta, features a great melody that would fit in with almost any retro platformer for the Nintendo Entertainment System, although it is definitely inspired by the Megaman series with its catchy hooks. Lastly, Bessam’s “Walk on the Orbit” mixes chiptune sounds with some funky electronic grooves. The Korg M01D Super Users Official Compilation Vol. 1 album manages to showcase the versatility of the Korg M01D software. While not all the songs featured on the compilation album were a hit with me, it definitely goes to show you the care that was put into the software to emulate various types of instrumentation. Since it is available in the Western countries, if you are a musician or just want to mess around with the software, it might be worth checking out. As for this album, I wouldn’t say it is a must-have, but on the whole, it does manage to provide a decent listening experience. Posted on August 7, 2014 by Don Kotowski. Last modified on October 26, 2014.